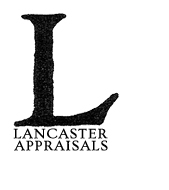 Lee Lancaster is an independent appraiser with more than a decade of experience evaluating used and rare books in the areas of literature, photography, art, history and philosophy. Ms. Lancaster has provided expert assistance in recent appraisals of the literary archive of David Madden, noted southern author and literary critic; a group of Robert Motherwell signed limited edition books; an estate of used and rare books that included the first edition of McKenney and Hall and the original edition of the works of Piranesi; a set of early signed U.S. Presidential ship manifests and land grants; a law and linguistics library of a noted lawyer and lexicographer; and a collection of U.S. Presidential material, including photographs, autographs and letters of 20th century presidents. She has a special interest in contemporary studio crafts, couture and fashion, prints, and works on paper, and recently appraised a rare signed Grant Wood print, a midcentury ceramic vase by Peter Voulkos, and an Ed Moulthrop turned wood vase. For seventeen years, Ms. Lancaster was a key staff member at The Captain’s Bookshelf, one of the nation’s finest used and rare bookstores, and regularly served as the sole representative of The Captain’s Bookshelf at the Florida Antiquarian Book Fair (St. Petersburg); the West Side Antiquarian Book and Ephemera Fair (New York, New York); and the Georgia Antiquarian Booksellers Association Annual Book Fair (Atlanta area). She currently serves as consultant regarding rare books and related materials for Brunk Auction, a national auction service with an international clientele. In addition to her extensive experience, her education in the appraisal field includes a number of programs and workshops. Among them, she has completed the Appraisal Studies in Fine and Decorative Arts Program at New York University, and the intensive Colorado Antiquarian Book Market Seminar. She is a certified appraiser, having successfully completed a seminar and examination at New York University on the Uniform Standards of Professional Appraisal Practice (USPAP), the Congressionally recognized set of appraisal standards promulgated by The Appraisal Foundation.